Runs on Android 1.5 and later. 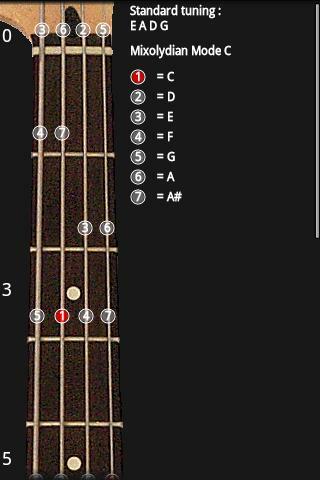 Not only can you select from a wide range of scales to display on a virtual fretboard for bass or guitar, but you can also input a few notes and it will tell what scale you are in and which notes you can use. This free version is supported by advertising.